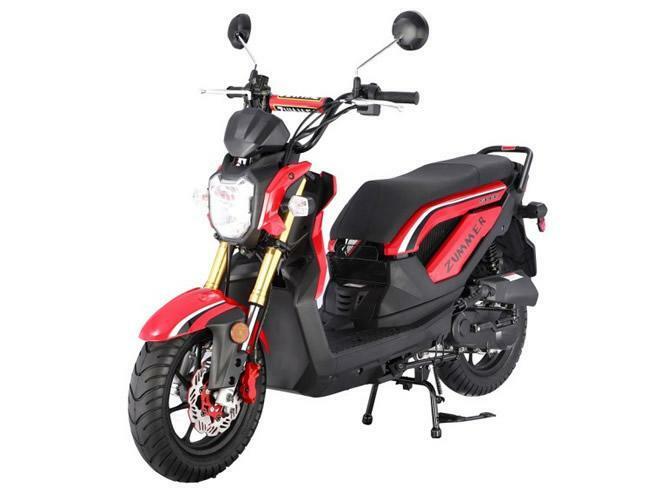 TAOTAO 500W+ 'ZUMMER' is the newest scooter to have if you want to ride really comfortably, since it offers more room for longer legs. You have this baby powered up by a 500 watt brushless high hub motor and powered by Gel Lead acid batteries. You don't have to worry about stopping, because the disk brakes installed in the front and the rear will help you stop promptly. The added features add a great deal of value to the scooter i.e. the remote alarm will notify you if anyone tries to tamper with your scooter or even vandalize it. And both wheel and ignition locks will help you sleep sound at night, knowing that no one can start your scooter and take it for a ride. E-Scooters are street legal, just like bicycles, and do not require driver's license, insurance or registration. Best of all, E-Scooters do not require gas either! Just charge it and go!